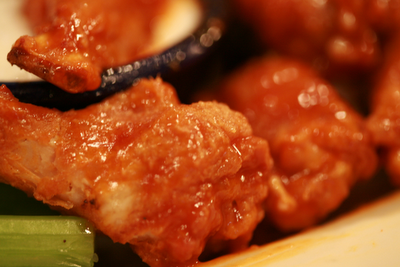 Similar to home-made iced coffee, buffalo wings made at home are just not as good as the real thing. I strive for that crispy outside, rich buttery/spicy flavor, and perfectly cooked tender meat.... Well I have found the best recipe (it's fool-proof, but takes a few extra steps to prepare) to perfecting the Buffalo Wing at home. Have a great weekend watching the Olympics while enjoying these bad boys!